How the past glimmers so bright. At one point in my life I ate a kale salad everyday for lunch, I regularly snacked on raw vegetables, and I couldn’t even remember the last time I had eaten a donut. Back then my body was pure and powerful, but things have changed. Vegetables rarely cross my mind, while cheese fries regularly pop-up in my fantasies. 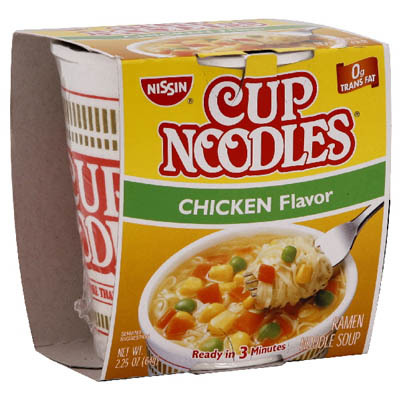 Cup Noodles call to me with their impossibly-high sodium count and fantastically-low price point. In this nadir of health my body has grown soft and frail, weak to temptation. As the weather gets cooler and the clothing more forgiving, my worsening diet could get out of control. I realize it’s time to put in some effort to turn this ever-growing ship around. 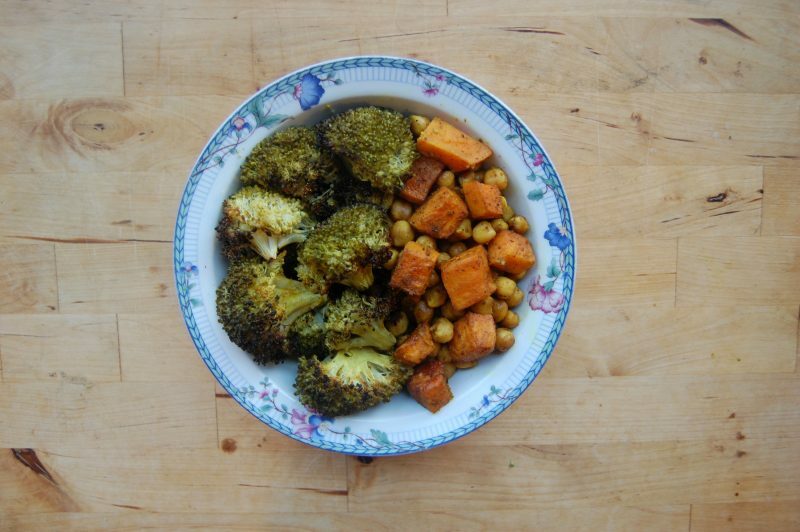 This meal is capital H Healthy and also capital V Vegan. 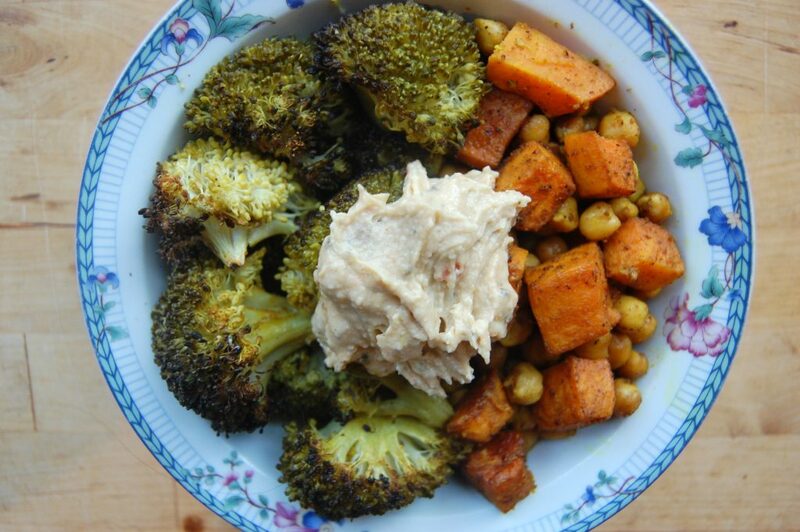 The three main ingredients of this vegan bowl are broccoli, sweet potatoes, and chickpeas, all super foods in their own right. The key to making this delicious is covering everything in chili powder and roasting the crap out of it. 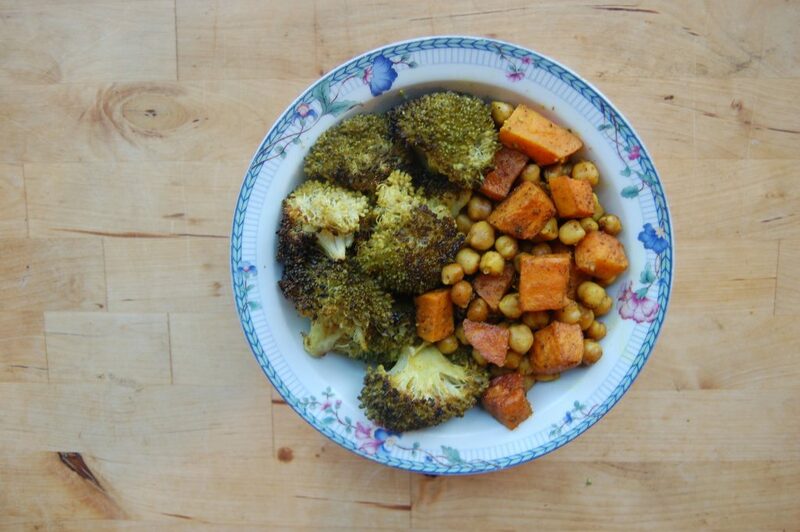 The broccoli and sweet potato should be tender, while the chickpeas should get crispy around the outside. 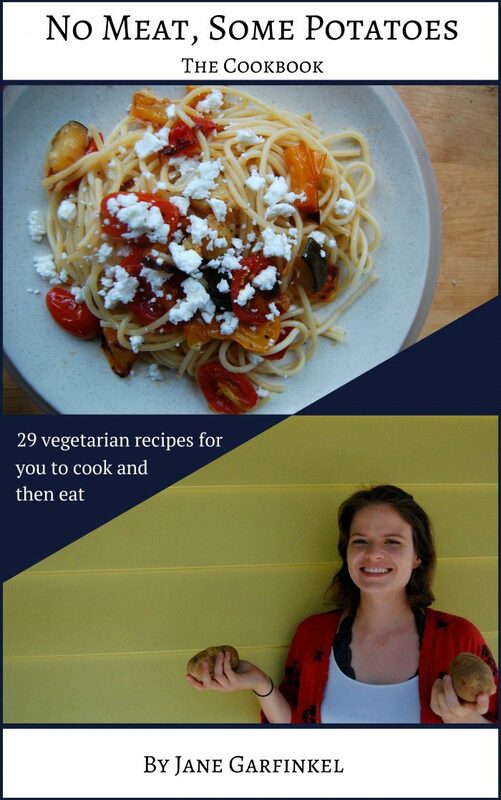 What an easy way to put vegetables into your face. 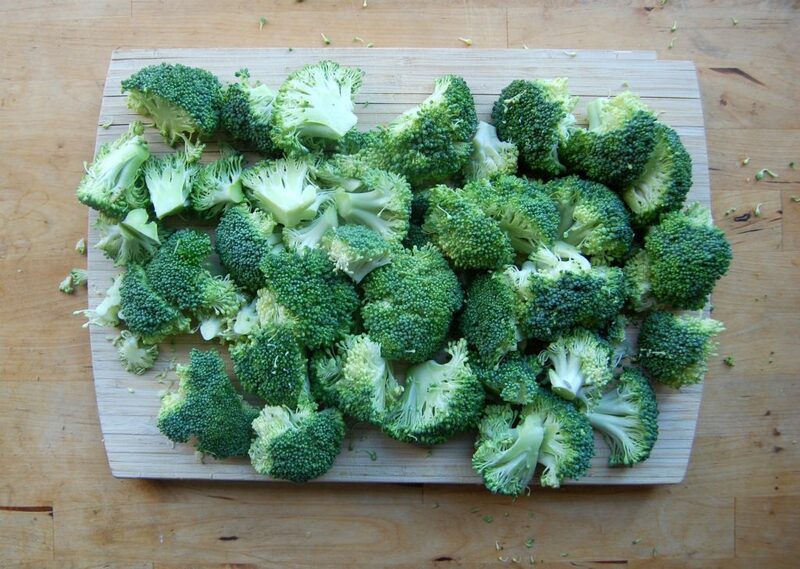 Chop up the broccoli into bite-sized pieces. Douse them with olive oil and chili powder. 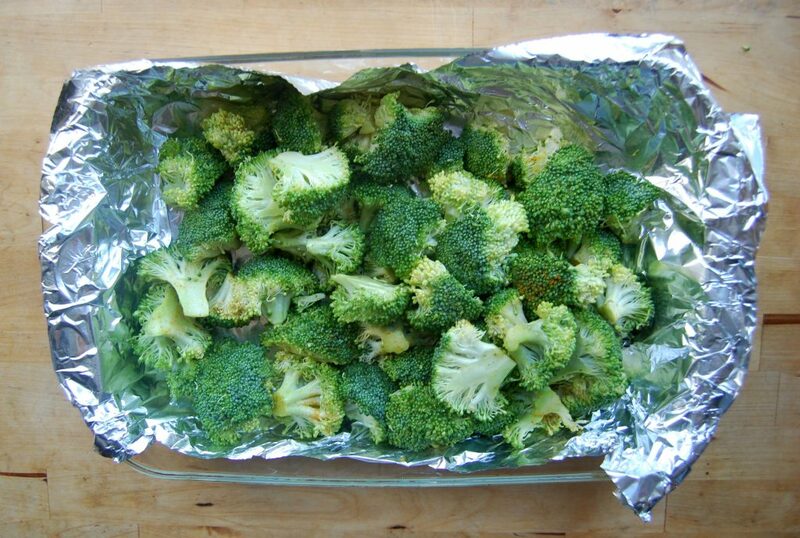 Put them onto a baking sheet lined with foil. All of my baking sheets were dirty so I had to use this inferior glass pan. 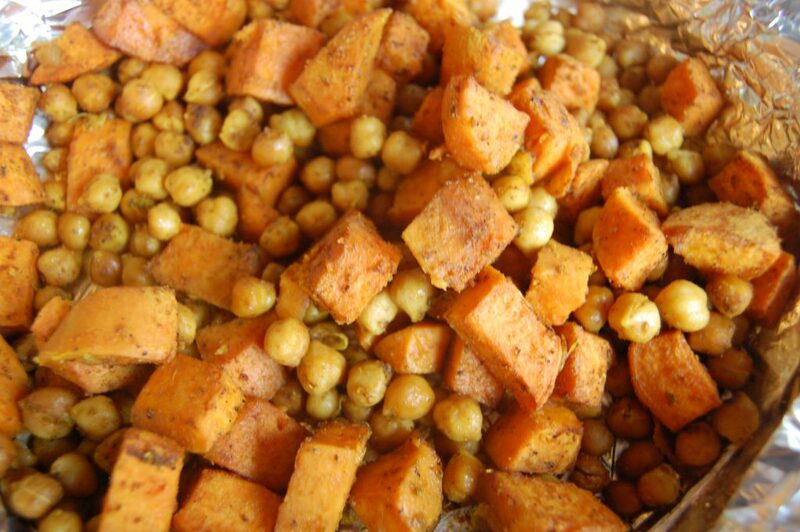 Cover the sweet potato and chickpeas with olive oil and chili powder. Put them onto a baking sheet covered with foil. As noted above, ALL MY BAKING SHEETS WERE DIRTY so I had to improv with this cake pan. 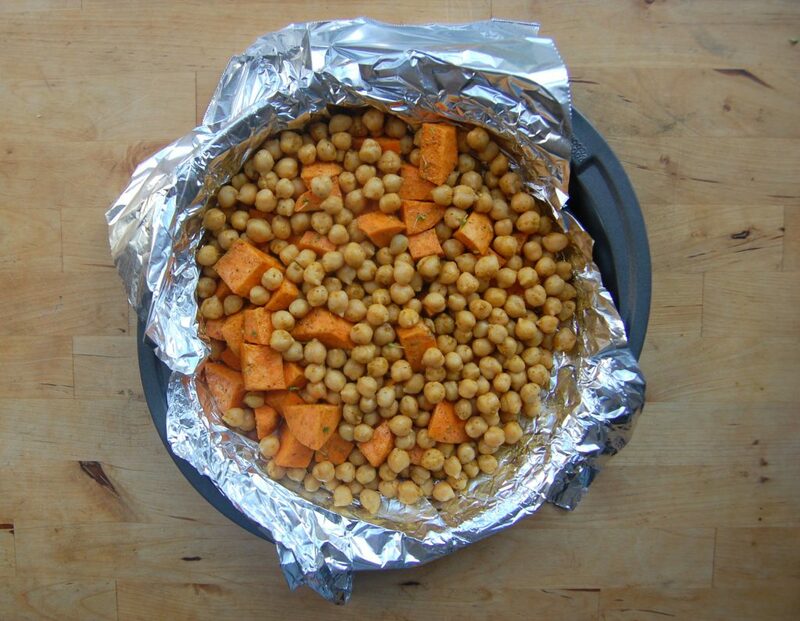 Ideally you want a lot of surface area to ensure that the chickpeas get crispy. 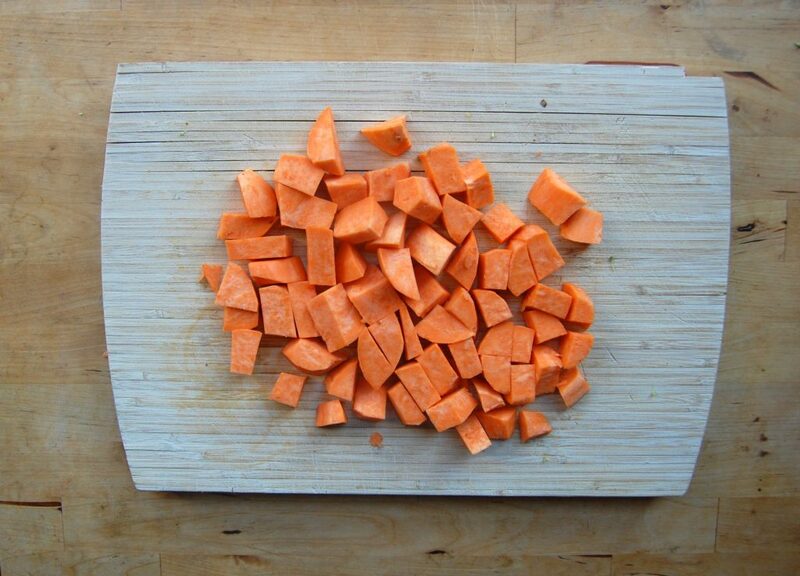 Bake everything for a very long time (maybe 45 minutes) and then season with salt and pepper. I like to serve my vegan bowl with hummus.